It appears speculation hath ended and the courtship is nearly consummated. 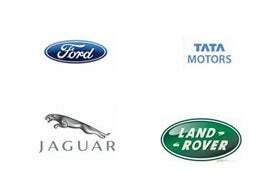 According to Automotive News, Ford and Tata Motors will announce that the Blue Oval is selling two of its Premium Automotive Group brands, Jaguar and Land Rover, to the Indian conglomerate. Automotive News is also reporting the official word of the sale—as well as confirmation of the $2 billion price tag that has been bandied about for several months now—will occur March 5 or 6. If that report's correct, ust like that, Ford sheds its two Anglophilic marques and dispatches them to quite possibly a more rightful home on the Subcontinent, where sleek, posh motorcars and rugged SUVs favored by royalty may encounter better ownership. Or at least a more nationalistic one.